It’s NOT a good idea to have both POP and IMAP connections running to the same email host. That’s because the POP connection will usually delete messages on the host when they are moved to Outlook, once deleted they’ll be removed from any IMAP replicated storage as well. However it’s common for people, at least at first, to have a mix of email accounts in Outlook. 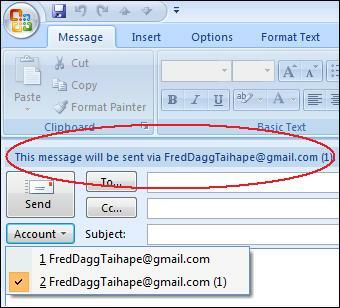 Then you need to tell Outlook which account or email address to use for outgoing messages. By default Outlook saves the copies of sent messages locally in the Outlook Sent items folder but you can specify that the messages sent from an account/address are placed in a different folder. To get the most out of IMAP you’ll probably want the Sent Items to go into an IMAP replicated folder so they’ll be copied to the host server and then other devices. The location for Sent Items can be modified either before sending your first email or Outlook itself prompts the user about creating a folder for sent items before sending the first mail from this profile. 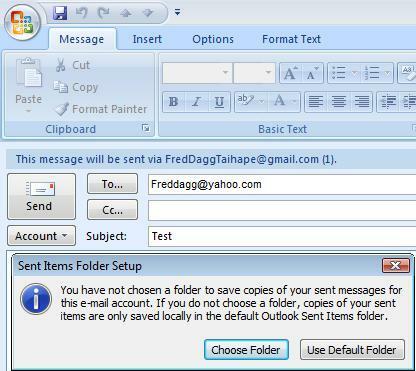 As shown in the below screenshot Outlook offers to create a new sent item folder or you can use the default folder. Suppose you want to create a new sent item folder once the account is created then go to Tools | Account Settings | and choose the relevant email account. Double click on this account to open the “Internet Email Settings” window. In this Window click on the “More Settings” button located at the bottom right corner. In the “Internet Email Settings” window which opens next choose the “Folders” tab as shown in the below screenshot. Here make the choice of required Sent item folder. You can even create a new folder if you wish to keep the mails sent from Outlook separate from those sent from Gmail for this profile. You may wonder why the Gmail id [email protected](1) is appearing with a suffix (1). This is because the same Gmail account/address is being used to our example for both a POP3 and IMAP connection hence the two mail ids are differentiated by this digit. Having both POP and IMAP connections to the same mailbox is definitely NOT recommended. 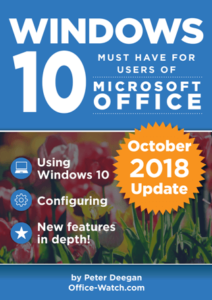 When you have more than one email account setup in Outlook it is necessary to know which account/address is sending out a particular message. Let me show you this with an example. When you want to send a new mail as shown in the below screenshot the Send Account id will have multiple entries based on the number of profiles configured irrespective of the protocol. Since in this example we have two profiles with similar Gmail ids but activated for different protocols, the digit (1) is appearing for the profile using IMAP protocol. This way you can select the required mail id based on the protocol POP or IMAP to send mails. Also for more clarity once you select the desired Send Account id a message (shown within the red circle in the screenshot) will appear above the Send label. After complete configuration of Gmail account for IMAP protocol you can send and receive mails successfully and access your messages online or offline. Any additions/deletions to your IMAP folders in Outlook will be copied to the host storage and vice-versa.